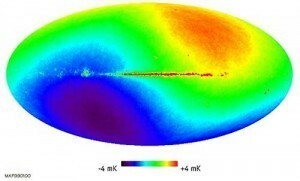 Last month research project known as BICEP2 announced evidence of inflation within the cosmic microwave background (CMB). Now a new paper argues that a different effect known as a radio loop could produce similar results, which raises the question of whether inflation was detected after all. 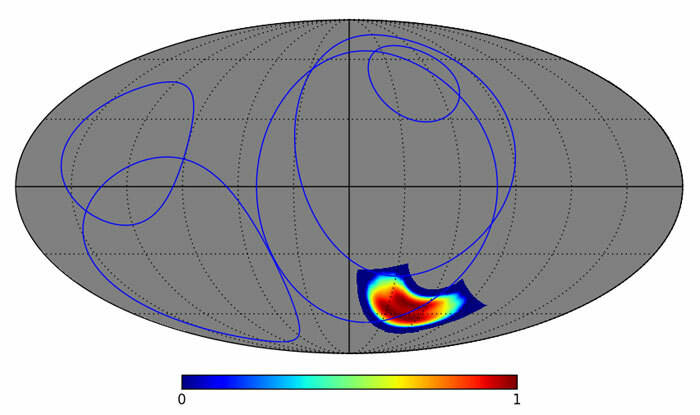 The evidence for inflation focused on what is known as B-mode polarization of the CMB. The B-mode polarization has two causes. The first is due to gravitational lensing. 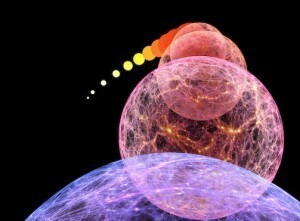 The cosmic microwave background we see today has travelled for more than 13 billion years before reaching us. Along its journey some of it has passed close enough to galaxies and the like to be gravitationally lensed. This gravitational lensing twists the polarization a bit, giving some of it a B-mode polarization. The second mechanism which is more subtle, and requires more data to analyze. 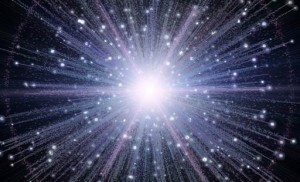 It is due to gravitational waves produced during the inflationary period of the big bang. What the BICEP2 found was evidence of more B-mode polarization than expected by gravitational lensing alone. Since there are two ways in which B-mode polarization can occur, they needed to show that this “extra” was not just due to lensing. Thus, they argued, it must be due to primordial gravitational waves. But the authors point out that these loops can also produce microwave radiation, emitted by charged dust particles within the plasma. These microwave emissions are in the same wavelength range as the cosmic microwave background. The emissions are polarized, and their orientation would be similar to the B-mode polarization detected by BICEP2. 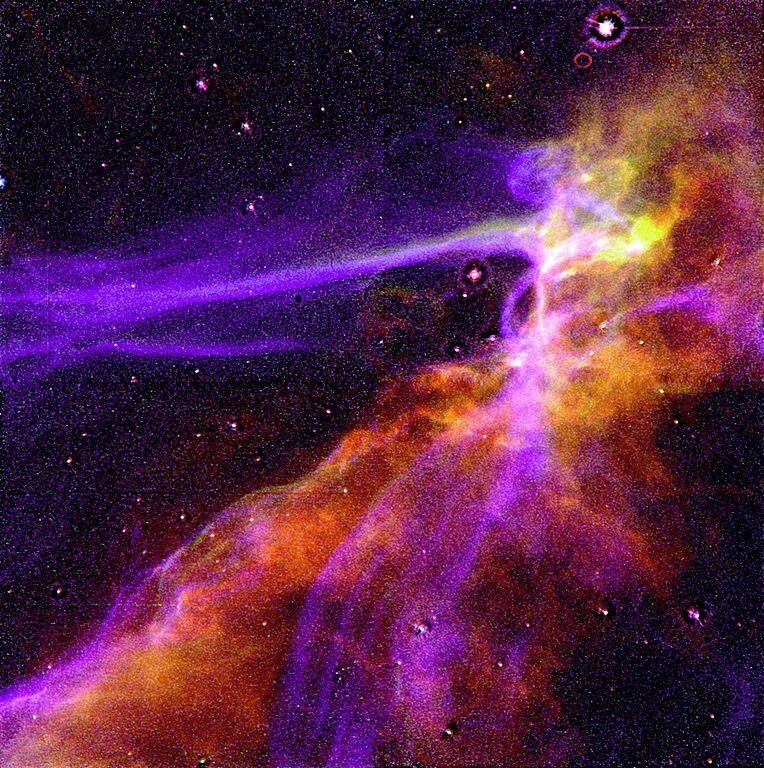 Once this “foreground effect” of galactic radio loops is accounted for, there may still be a residual B-mode evidence of inflation. At this point we can’t be sure because it wasn’t taken into account in the BICEP2 results. What this new paper really points out is a weakness in the BICEP2 results, specifically that it was done at a single wavelength range. The real test will happen when the Planck team releases their results on B-mode polarization. The Plank satellite has polarization data at multiple wavelengths. If these results confirm BICEP2, then we can be sure of an inflationary effect. If not, then we’ve got more work to do. And so it goes, loop de loop, back and forth. This is how science is done. One team puts forward a result, other teams push back with other ideas, and eventually the best result survives. Paper: Hao Liu, Philipp Mertsch, and Subir Sarkar. Fingerprints of Galactic Loop I on the Cosmic Microwave Background. arXiv:1404.1899 [astro-ph.CO] (2014).